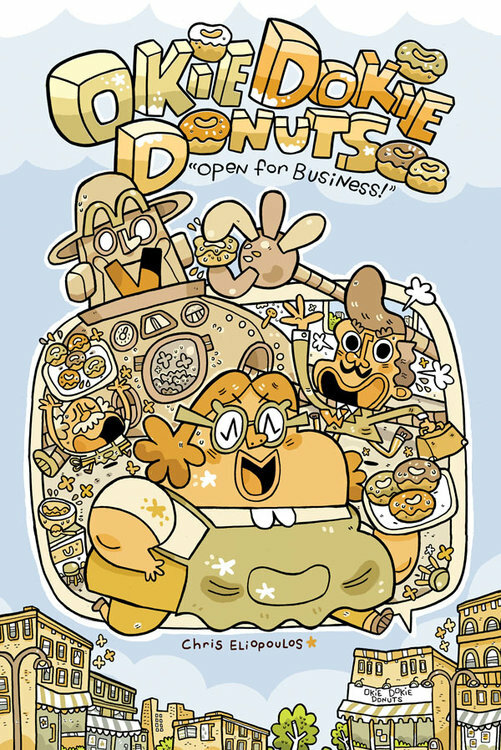 Catalog | Kids Club | Okie Dokie Donuts (Story 1): Open for Business! "A mixture of Pablo Picasso and Cartoon Network... laden with eccentric charm." -- The Daily Blam! An all-new, ongoing, all-ages series from Chris Eliopoulos and Top Shelf!